Overview The original scans for these letterforms were taken from the actual imprints made by the typewriter of the designer's Grandmother. Although not originally intended as a stand alone font family, it can look quite effective for certain forms of grunge typesetting (especially at larger sizes). It is a typewriter font that is completely stoned. Unfortunately, Grandmother would not approve. 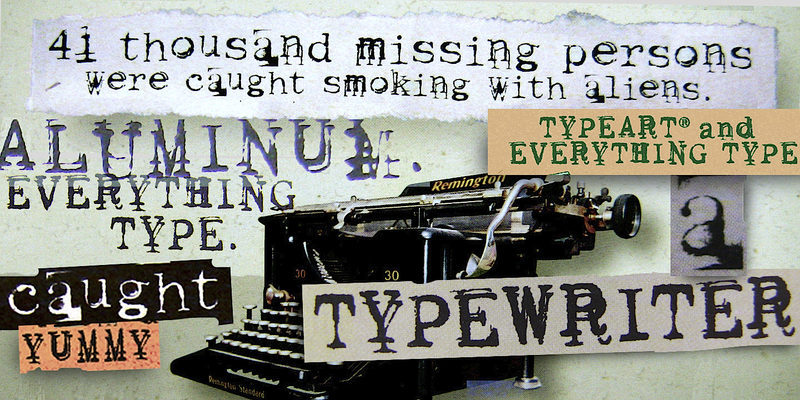 Keystoned was originally designed to be a companion type family for Writing Machine, providing alternative characters which have more severe flaws in the imprint made by the typewriter keys. It also serves as a great companion to our Dear John family. In the PC version of this font family the style names are slightly different from those used in the Mac versions. But the fonts are otherwise identical.